Vaccinations are important to help prevent varying bacterial and viral disease that your pet may come in to contact with. At Mountain Road Animal Hospital, we believe that vaccines are individualized for every dog, based on you and your pet’s lifestyle. Distemper – Caused by a virus, can cause systemic illness and even death. Can also cause GI, respiratory, central nervous signs. Adenovirus – A contagious disease that affects the liver. Parainfluenza – A contagious disease spread by the respiratory system that can cause a dry hacking cough. Parvovirus – Viral disease that causes severe vomiting and hemorrhagic diarrhea. This disease can be fatal. Leptospirosis – Spread in the urine of wildlife, cattle and horses. It causes liver an kidney disease and has zoonotic potential (can be transmitted to humans). Lyme – Spread by deer ticks can affect 1 or multiple joints and can cause kidney, heart and neurological diseases. Rabies – Is a viral disease that affects the central nervous system of mammals, including humans. Once clinical signs appear, rabies is almost always fatal. Bordetella – Also known as kennel cough. Highly contagious infection that can cause upper respiratory signs, and may progress to pneumonia. A schedule can be arranged for your dog. 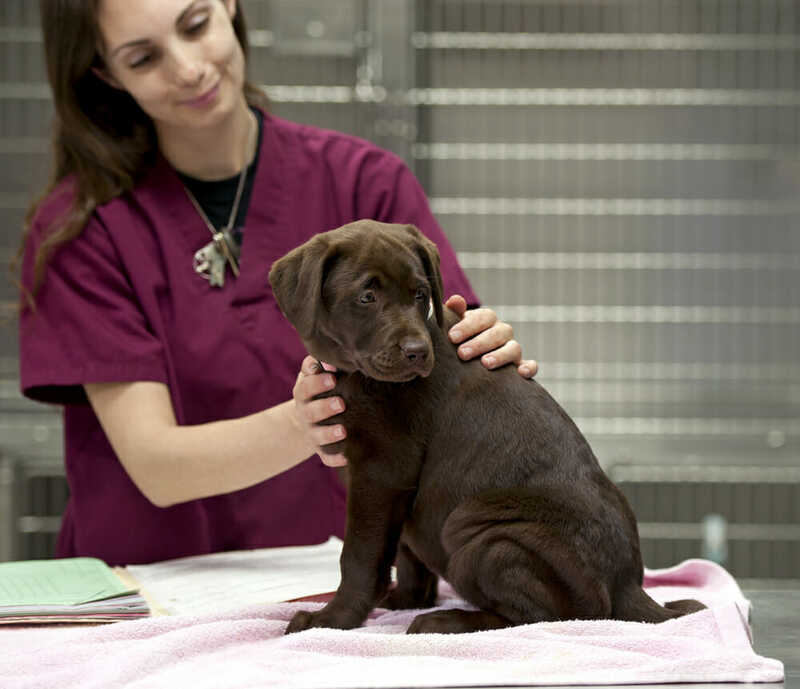 Vaccinations are tailored to your dog’s needs and lifestyle. It is important to vaccinate your dog because it helps increase the immunity of your dog and help protect them against viral and bacterial diseases listed above. Prices vary from dog to dog and also the type of vaccination that will be provided. If you would like more information on our vaccination services and/or for any pricing info, please call us at 506-382-0061.